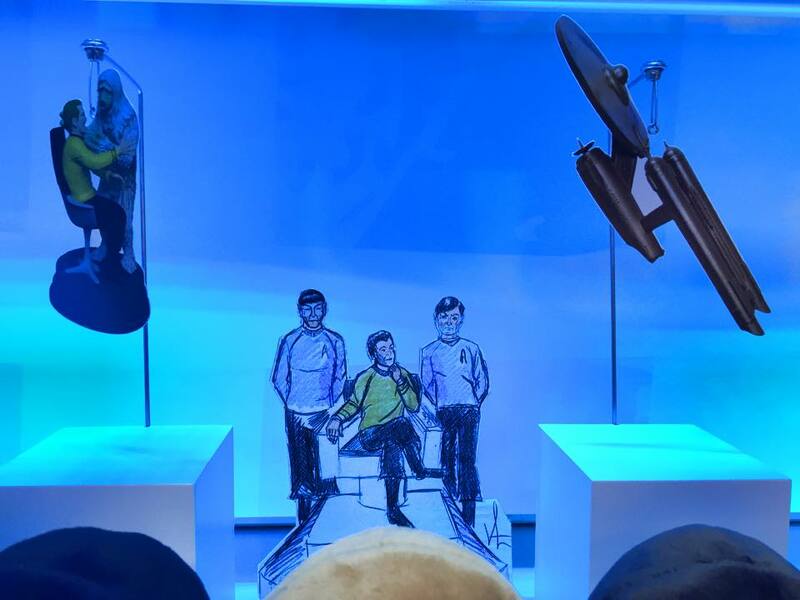 As has become the custom, at the San Diego Comic Con Hallmark have previewed their range of Keepsake ornaments for 2016, including several Star Trek designs. 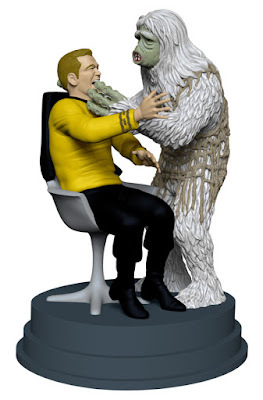 Fortunately StarTrek.com have also relayed that information, including images of most of the new designs. Continue below to check them all out. There's a slight shift in the usual line-up coming in 2016, but one thing we certainly couldn't do without is a starship: Naturally in the fiftieth anniversary year that will be the original USS Enterprise, the pilot episode design in fact. And in what I'm sure wont be the last example of this we're going to see next year, it comes in fiftieth anniversary gold... The model will feature sounds, but there is no mention of any lights on this one (in contrast to most of the previous ships). Another long-standing style of ornament are recreations of scenes, and this year there are two! One is based on the first aired episode of Star Trek, The Man Trap, depicting the salt vampire attacking Captain Kirk. Those three designs will be the regular releases, but there is a fourth, which will be a more limited edition, available at Keepsake premier events when the 2016 range is launched. This year saw the final release in the Star Trek Legends series, Uhura, the sixth character in the series which has given us figurines of almost all the main TOS crew. 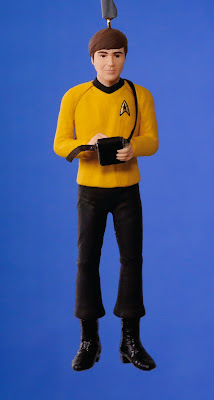 With the second scenic design taking up the usual figurine slot it appeared poor old Chekov had been left out, but he's sneaking in as this limited edition (not officially part of the Legends series, but in the same style). Finally Hallmark will also have Star Trek joining their itty bittys range of small plushes next year, in the form of a set of four TOS characters, ready again to commemorate the fiftieth anniversary. All the above are work in progress, so may change before their release next year. Meanwhile this year's range will be available this month, see my previous report to check out all the designs.